Are you a photographer, designer or anyone else who might just happen to need t-shirt printing? We make printing simple, for any type of customer. While we do attend individuals from all walks of life, we only take orders from 10 units and up. We’ll take you through every step of the way to make sure you obtain the desired results and stay within budget. Our talented graphic design team can produce, edit and prepare any artwork you may need. No job is impossible thanks to our full range of high quality printing techniques and garments. 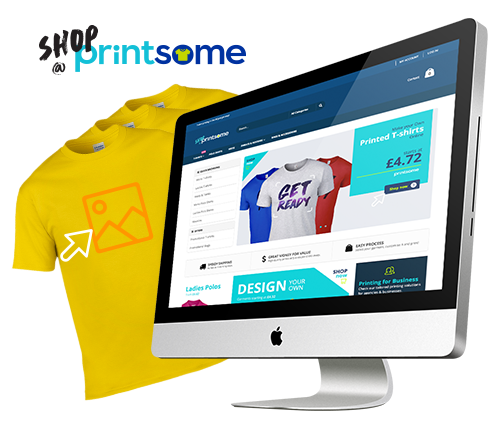 Even though we're experts in bulk t-shirt printing (from 10 to 10,000,00), in order to cater to everyone wanting to bring their printed t-shirts to life we're crafted a platform that allows you to design, customise & buy online. No more minimum order volumes, now the Printsome quality is available for 100% of humans. our Shop is the right place for you. If you'll need more, simply put in a Quote Request. It was a pleasure working with Printsome right from the beginning. Great speedy service and product!